Hulme,M., Conway,D., Jones,P.D., Barrow,E.M., Jiang,T. and Turney,C. (1995) A 1961-90 climatology for Europe for climate change modelling and impacts applications Int. J. Climatol., 15, 1333-1363. Hulme,M., Conway,D., Kelly,P.M., Subak,S. and Downing,T.E. 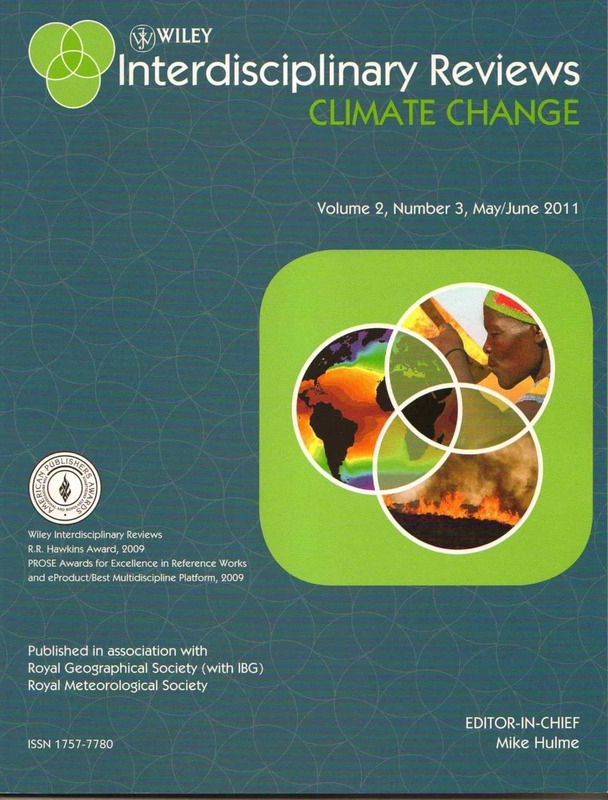 (1995) The impacts of climate change on Africa SEI, Stockholm, Sweden, 46pp. Hulme,M., Conway,D., Kelly,P.M., Subak,S. and Downing,T.E. (1995) The impacts of climate change on Africa CSERGE Working Paper GEC 95-04, University of East Anglia, Norwich, 60pp. Hulme,M., Jiang.T. and Wigley,T.M.L. (1995) SCENGEN: a climate change scenario generator Climatic Research Unit, University of East Anglia, Norwich, 38pp. Hulme,M. and Viner,D. (1995) A climate change scenario for assessing the impact of climate change on tropical rain forests CRU/WWF(US) Report, Climatic Research Unit, Norwich, 34pp. Ojwang,J.B., Hulme,M., Conway,D., Kelly,P.M., Subak,S. and Downing,T.E. (1995)Greenhouse gas emissions and their impacts pp.49-84 in, A climate for development: climate change policy options for Africa (eds.) Okoth-Ogendo,H.W.O. and Ojwang,J.B., ACTS Press/SEI, Nairobi, Kenya, 264pp. Okoth-Ogendo,H.W.O., Ogallo,L, Hulme,M., Conway,D., Kelly,P.M., Subak,S. and Downing,T.E. (1995) Global climate change and the environment pp.11-46 in, A climate for development: climate change policy options for Africa (eds.) Okoth-Ogendo,H.W.O. and Ojwang,J.B., ACTS Press/SEI, Nairobi, Kenya, 264pp. Rao,P.G., Kelly,P.M. and Hulme,M. (1995) Economic growth while protecting the environment: some issues relevant to the Indian energy sector CSERGE Working Paper GEC 95-34, University of East Anglia, Norwich, 65pp. Srinivasan,G., Hulme,M. and Jones,C.G. (1995) An evaluation of the spatial and interannual variability of tropical precipitation as simulated by GCMs Geophys. Res. Letts., 22, 1697-1700.